Sorry for being quiet, I was away on vacation and ran a few races, here is the recap. 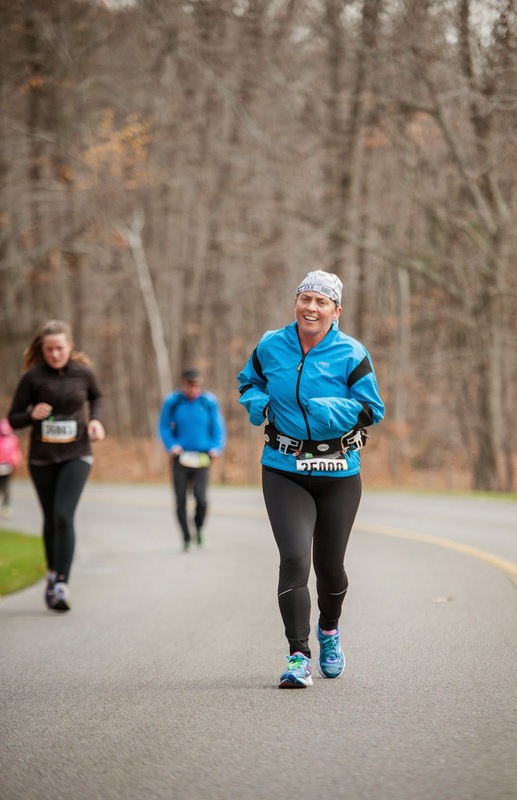 On Nov 1, I ran the MEC Gatineau Park half marathon, it was the loop I biked all summer and in August when this race was announced, I thought it would be fun to run the loop (yes, I am crazy). 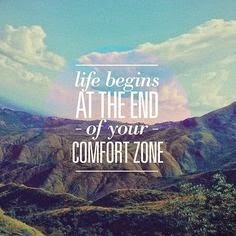 After I signed I started having issues with my left hamstring so I decided I would walk up the hills and run the downhills and flats. Finally race day rolled around and I woke up and decided that today, I was going to run up all the hills, every darn one of them. It was a cold day and snow was threatening but once Anita and I started to run, we warmed up quickly, then the hills started. The loop has 8 or so big hills, one is my biking nemesis, Black hill, it goes on f o r e v e r. I had a disappointing season and I was not going to let this defeat me as well so I was determined to run strong that day. 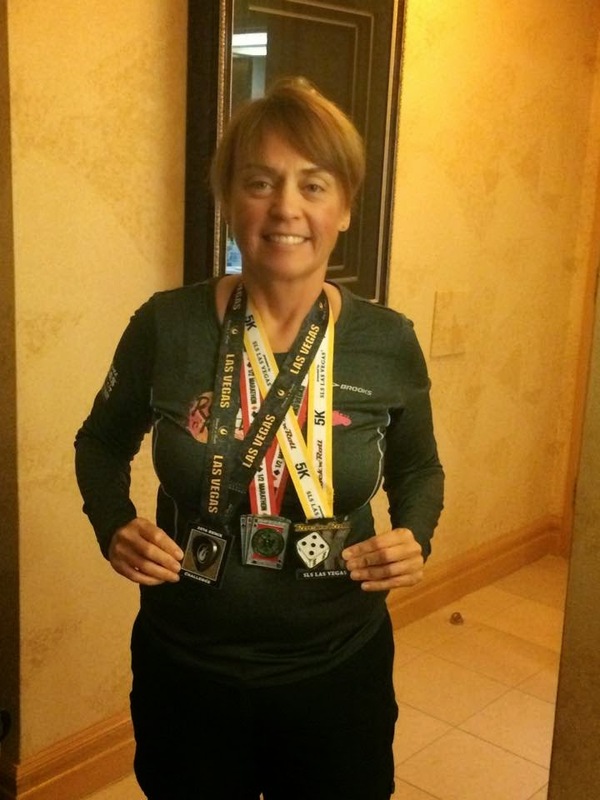 My favorite quote about a half marathon..." A half marathon is a 10 mile warm up to a 5K race" and at the 16K mark, I said to Anita that the warm up was complete and it was time to run the 5K race and increase the speed. We finished the race running downhill and fast and I finished with a 2:15, my fastest half marathon this year. A week later I was on a plane to Phoenix for a vacation before our Las Vegas race. 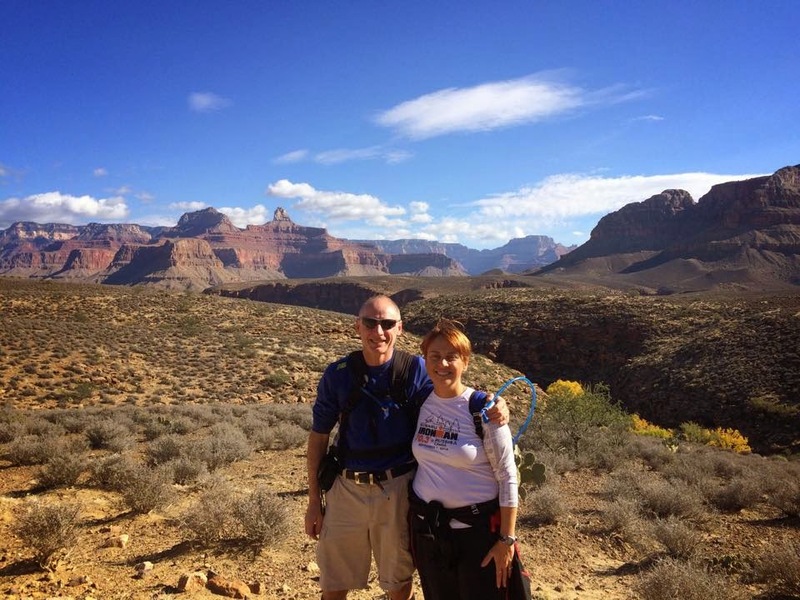 I hiked in Phoenix, Sedona and 2 days in the Grand Canyon and loved every minute of it. I had gone to the Grand Canyon in 2007 and was not in shape to hike but this time I was and boy did I have fun. We hiked Camelback Mountain in Phoenix, Cathedral Rock in Sedona, the Rim Trail at the Grand Canyon and down into the Canyon to Indian Gardens and a bit more to the plateau. I not only kept up but I pushed myself and the others to keep up the pace. Photos do not do justice to the area, it is breathtakingly beautiful and I am so glad I got to go back and experience it again. We finally made it to Las Vegas for our race. Anita and I where running the 5K on the Saturday nigh and the half marathon on the Sunday. 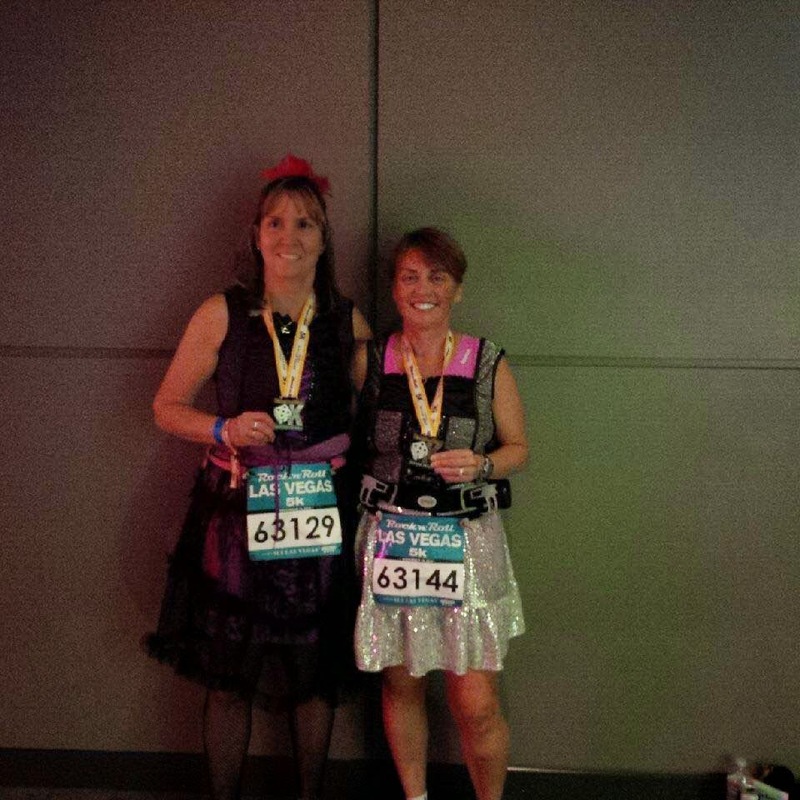 We were running the 5K as a shake out run, just a warm up and decided to dress up as showgirls for this run. It was a warm night and my legs were sore to start but eventually everything clicked and it was fun, lots of fun. On Sunday, the temperatures were cooler and it was the perfect day to run. We started at about 5pm and it was getting dark. I was looking forward to running the strip at night and yesterdays speed and great feeling stuck around and the run was great. The first 10K was fabulous and once we got to the old part of LV, the crowds got thicker and my time got slower. I was frustrated but I kept on running, I wanted a PB and I was not going to let a few people keep me from my goal. I am not going to lie, the last 3 km was tough, I was tired and ready to be done. This was the first time I was running the half marathon non-stop and I was chasing a PB. I was thrilled to cross the finish line with a new PB of 2:08:59!